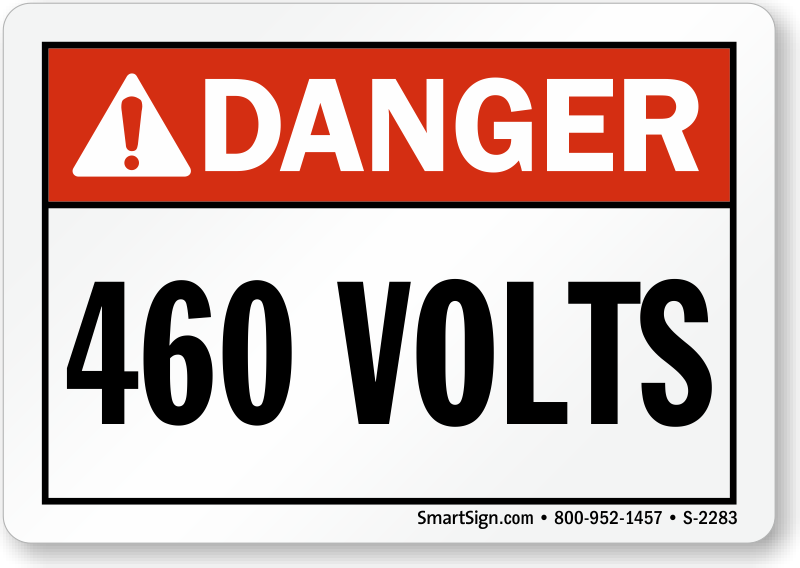 460 volts signs and voltage markers will aid you in identifying electrical equipment, outlets, switches, fuse boxes, bus ways, conduits, and power lines. By doing so, you will reduce accidents and protect electrical equipment. Such precautions will also help you meet ANSI requirements. Choose from a range of sizes, depending on the dimensions of your electrical devices. Prioritizing worker safety will ensure minimum loss of work time due to accidents. Make using signs and markers a practice to avoid accidents. 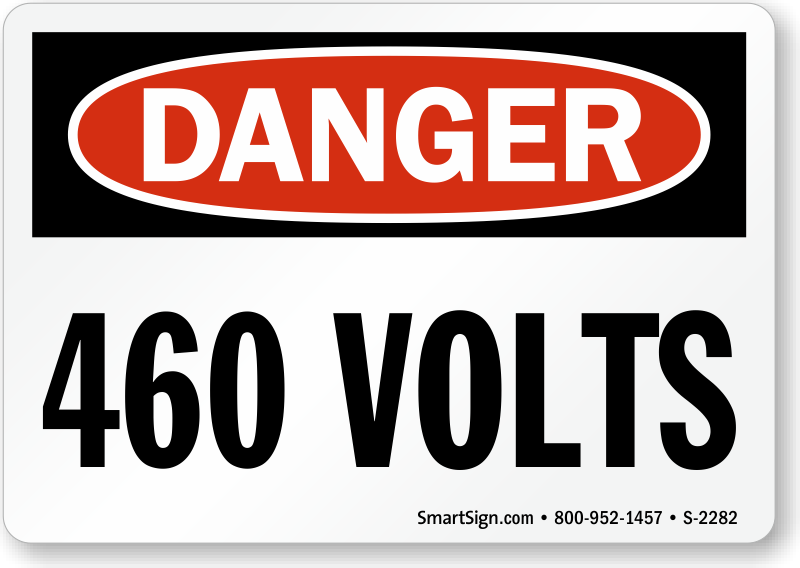 • Voltage markers printed on 4 mil thick, laminated vinyl. 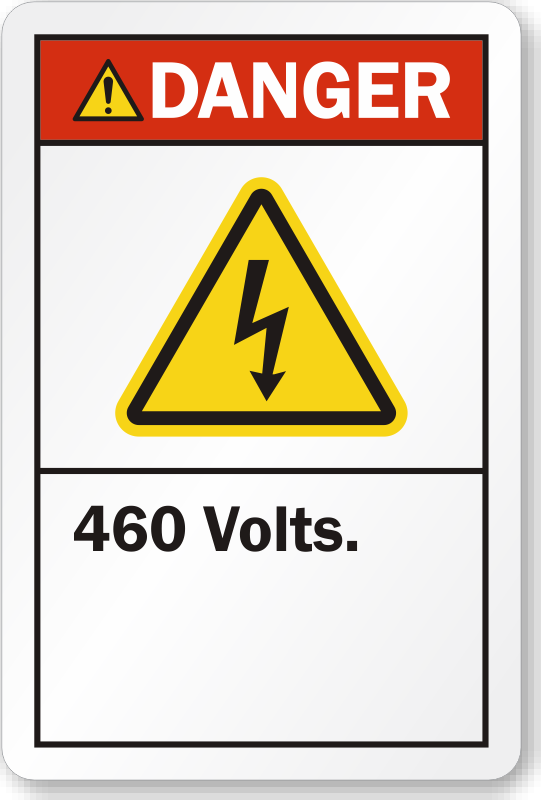 • Featuring permanent acrylic adhesive backing, voltage markers can be stuck easily to most surfaces. • Markers have heavy permanent acrylic adhesive backing.